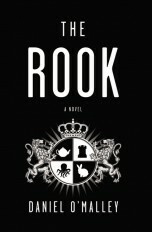 Daniel O’Malley’s first novel, The Rook, has been released upon an unsuspecting populace in the USA and Australia! By clicking on this link, you can experience the first four chapters of The Rook. Sign up for news about author Daniel O’Malley.